Bobby V whose new album Dusk Till Dawn got released today, stopped by the famous Breakfast Club on Power 105.1 in New York City. 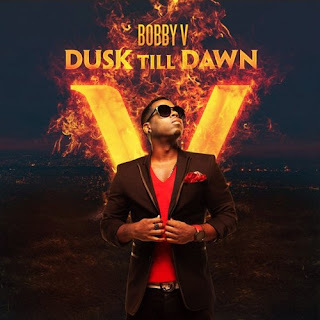 Click HERE to buy Bobby V's brand new album 'Dusk Till Dawn'. Teaming up with one of Atlanta's hottest rappers, Future for this single "Tipsey Love". Bobby V still delivers great music. The singer who is on an independent label featured big names on his 5th studio album including Lil' Wayne, K Michelle, Gucci Mane, Future and more. 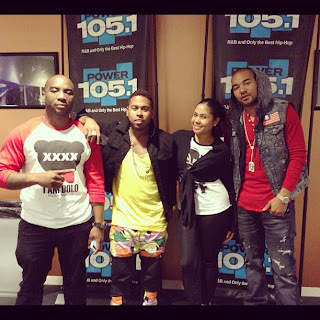 In his interview on the Breakfast Club Bobby V spoke on being on an independent label, his new clothing line, his new album and rapper 2 Chainz. Wearing only God knows what, the hosts of the Breakfast Club - DJ Envy, Angela Yee & Charmalagne Tha God obviously grilled him on that. Check out what was said.